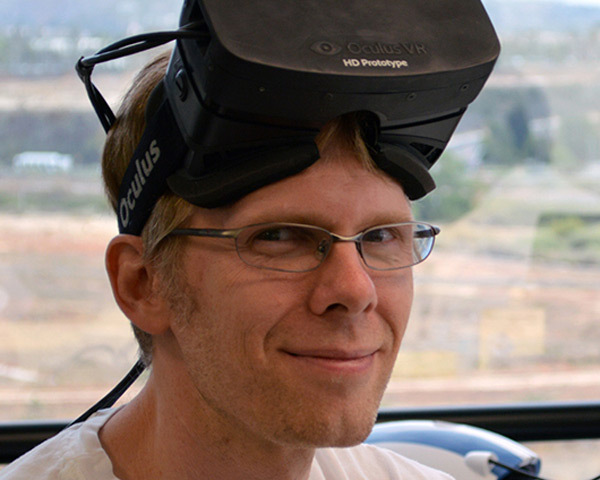 Oculus have just announced that the legendary game programmer John Carmack will be officially joining the Oculus team as their Chief Technology Officer (CTO). John is one of the brightest minds of our generation – pioneer, visionary, and industry legend. There are very few people in the world that can contribute to the Oculus Rift and the future of virtual reality like John can, so now the expectations for the Rift from the community suddenly got even higher. If you are unfamiliar with Johns background, John co-founded id Software, served as lead programmer on Wolfenstein 3D, Doom, and the Quake series, and is one of the pioneers of 3D graphics. When Johns not working on revolutionizing video games or computer graphics, he can be found coding at Armadillo Aerospace. If you have been following Oculus since the launch of the Kickstarter campaign (or before that on MTBS3D), you know that John has been a part of the project and a true believer in the future of virtual reality since the beginning. 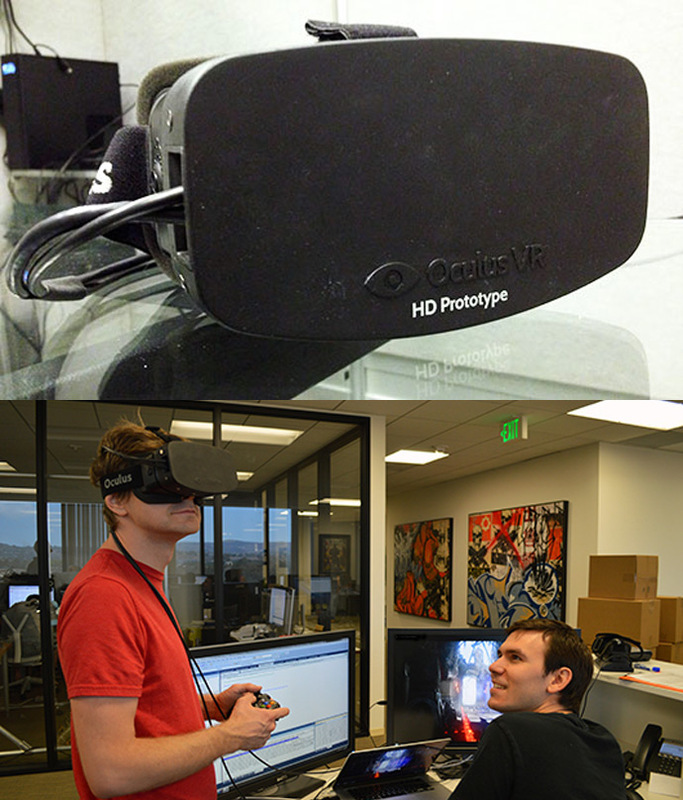 He was the first developer to actually integrate the Rift into a game, back when the hardware was just a hand-held prototype without an SDK. 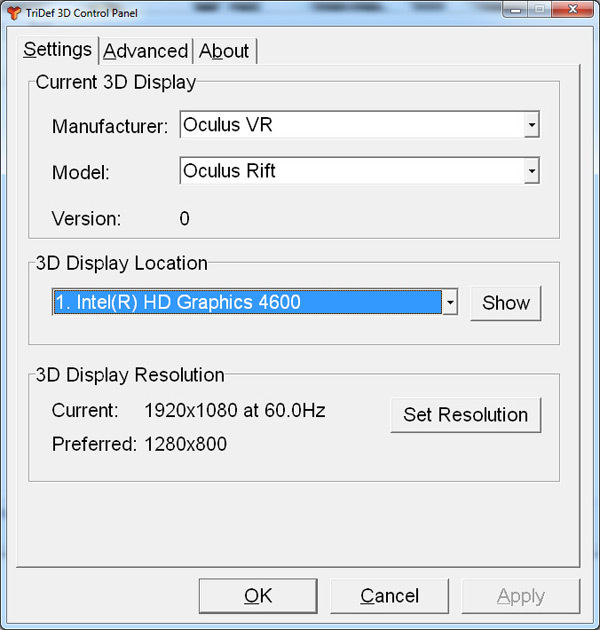 DDD has released a new beta version of their TriDef Ignition software with experimental Oculus Rift support for several DirectX 9 games (DirectX 10 and 11 are not yet supported). This is great news for everyone with an Oculus Rift Dev Kit that not only uses it for development, but also for fun and wants to try more games with the Rift. The games that support the experimental Rift mode in the Ignition beta are: BioShock 2, Crysis, Fallout 3, Half-Life 2, Elder Scrolls V: Skyrim, Borderlands 2 and Metro: Last Light though other DX9 games might work as well. The new beta of the software brings some extra HMD Settings that are available for the Rift and it also includes head tracking support that of course maps to the mouse cursor. You need to do a full TriDef 3D install (if you don’t yet have it installed) and on top of that to install the beta of Ignition. Up until now the only software that allowed people to try games that are not specifically designed for the Rift with the HMD device was the Vireio Perception, a free and open-source 3D driver, even though there are other similar projects. An example for such a project is the vorpX software that seems promising (commercial), however lately its developer has been silent and there hasn’t been any information on the current and future status of the project. If you want to be updated on the currently available and upcoming games and applications with support for the Oculus Rift 3D-capable Head Mounted Display you might want to keep an eye on RiftEnabled and The Rift List. Meanwhile it seems that by the end of this year we may see a second Dev Kit of the Rift announced/released (not clear if it will be with Full HD display though), however the consumer version of the device will most likely not arrive before sometime in 2014. It seems that the guys at Oculus are already working hard on the consumer version of the Rift that will probably feature a Full HD display and the good news is that the first HD prototypes of the HMD device are being demonstrated at the E3 expo, so if you are visiting you might ant to check them out. Have in mind that this is just a prototype with a better resolution display and not a what the consumer version of the device might be like, but apparently the upgrade of the screen from 1280×800 to 1920×1080 (split in two for each eye) does make a difference. 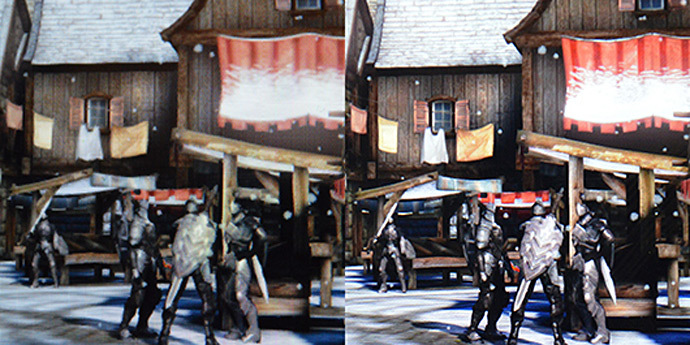 Above you can see a screenshot of Epic Citadel (Unreal Engine 3) in the 720p development kit (left) and in the 1080p prototype (right) as a reference released by Oculus, even though the image is low res you should be able to see that the higher resolution HD prototype provides more detail and sharper image. The lower resolution of the Development kit of the Rift is one of the most noted disadvantages by people that have tried the device, so going for the higher resolution 1080p display should really make a lot of difference even though that each eye will get 960×1080 resolution.